So on my travels to Nottingham over the weekend managed to pick up a couple of these limited edition beer mats by local boy Jon Burgerman! Many thanks to Lou and Chris for collecting the last 2 for me and kindly framing them, looks great on my wall! 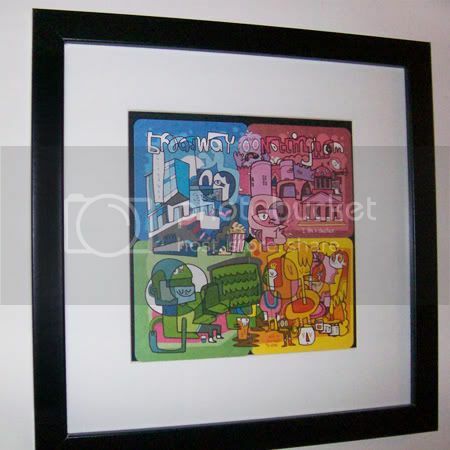 As a fellow student at the Nottingham Trent university it's great to see Jon Burgerman referencing various Nottingham landmarks in the piece, makes the whole thing feel more personal.